Buy works – Osenev Nikolai Ivanovich | (1909-1983). Honoured Artist of RSFSR. Honoured Artist of the People's Republic of Poland. Painter and genre artist. Author of historico-revolutionary themed works. Born 1909 in Moscow. 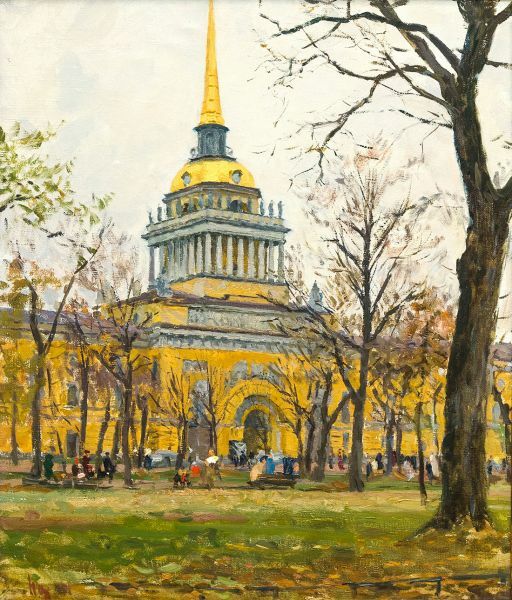 Studied at the Moscow State Academic Art Institute named after V.I. 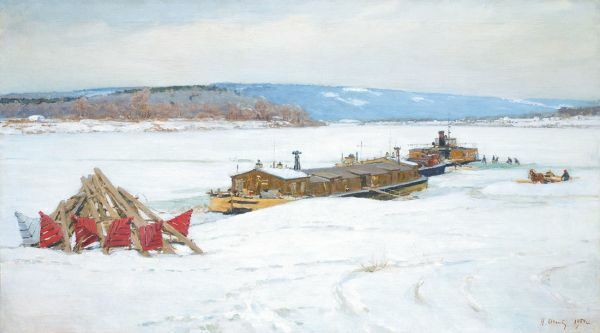 Surikov from 1938 (with breaks) under S.V. Gerasimov, I.E. Grabar, A.A. Deineka. Exhibited from 1949. In the beginning of 1950s painted in plain air. Well-known master of composite landscapes. In 1960s travelled to England, Italy, France, Sweden, Iraq and other countries where he made a string of related paintings (mostly architectural and scenery motives). The artist’s artworks are kept in the Tretyakov State Gallery in Moscow, Penza Picture Gallery and other museums and private collections.